Prayer doesn’t always change our circumstances, but it certainly changes us. 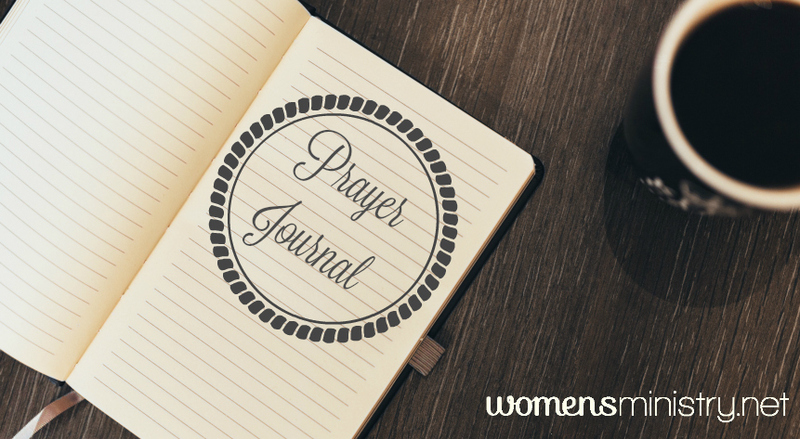 A great tool many women use to help keep their prayer lives focused is a prayer journal. This can take on many shapes and forms for each of us, but it often helps to see what someone else is doing to get your own personal journal started. That’s why we’re exited to share this prayer journal download with you – it’s one of our most popular downloads! Wendi Westmoreland and those who serve alongside her at Hillcrest Baptist Church in Pensacola, Florida, are prayer warriors. And they have graciously shared this downloadable and printable prayer journal. In it, they provide solid instruction and specific examples from their own prayer lives. We pray this journal blesses you as you seek the Lord in prayer! Looking for additional resources for ministry? Check out membership with womensministry.net where you’ll find samples, templates, articles and videos just for women in ministry leadership. Learn more here.